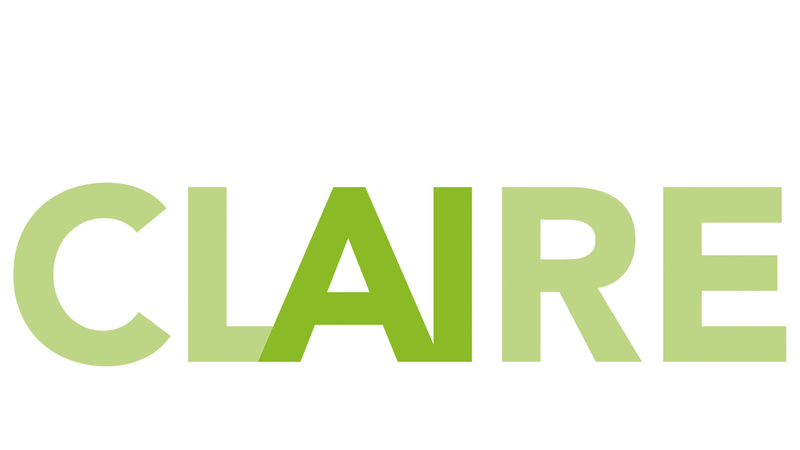 CLAIRE is a European initiative in the field of Artificial Intelligence to bring research, industry, and civic partners closer together, to represent common interests, and to make policy proposals at the European and national levels. CLAIRE has grown rapidly since its establishment last summer and now relies on a strong network of supporters and research institutes across Europe. The next steps include transitioning the initiative to an organization with the appropriate structures to better meet the challenges expressed in the CLAIRE vision: "Excellence across all of AI — for all of Europe — with a human-centred focus." In addition to headquarters, several CLAIRE offices, national and regional competence centers for AI as well as a CLAIRE hub, as central point of contact in Europe, should be established. The cooperation of research and industry is very important for the further development of the initiative. Consequently, we invite the industry partners of DFKI to learn about the cooperation opportunities with CLAIRE and look forward to your visit with us at Stand C59, in Hall 2 at the Hannover Messe. The fact that Artificial Intelligence (AI) is exerting more and more influence as a global game-changer can no longer be denied. It is already fundamentally changing the way we live and work and, as an engine of innovation, driving future growth and competitiveness.